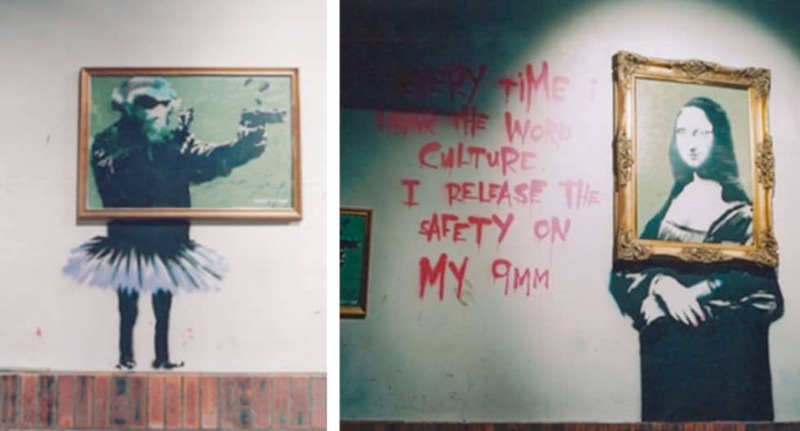 As part of a visit to Glasgow in early 2001, Banksy’s ‘Peace is Tough’ exhibition (held jointly with Jamie Reid) at The Arches in Argyle Street saw the elusive, subversive artist leave three works inside the venue. However, all three artworks are in poor condition, having been accidentally covered with grey emulsion paint in 2007. The Fine Art Restoration Company are delighted to be working with Argyle Street Arches (formerly known as The Arches), to uncover these artworks and put them back on public and permanent display for the nation. 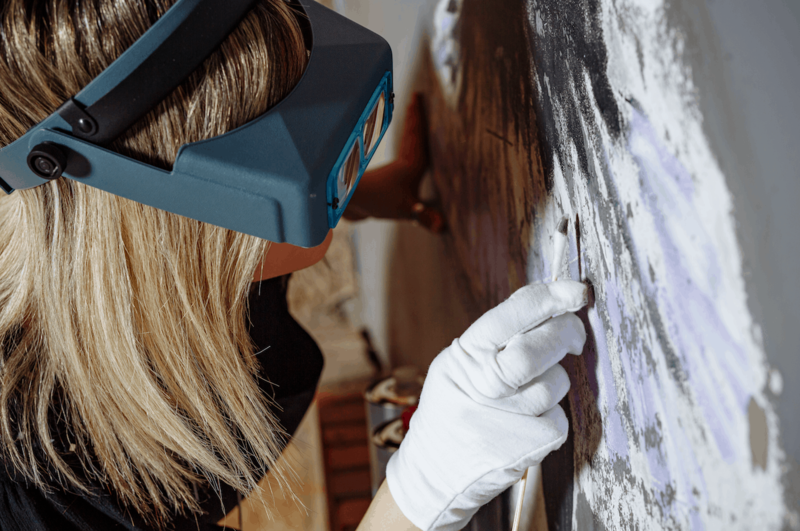 FARCO’s team of international experts specialising in wall painting conservation will carefully remove the grey paint, while protecting and revealing the original artwork hidden underneath. The restoration will be completed a section at a time. The restoration began in Argyle Street Arches at the weekend (11th and 12th August), and was attended by the press and interested members of the public. Over the course of the weekend, a combination of solvents including white spirit and ethyl alcohol were used to soften the grey paint, allowing the artwork underneath to be revealed. 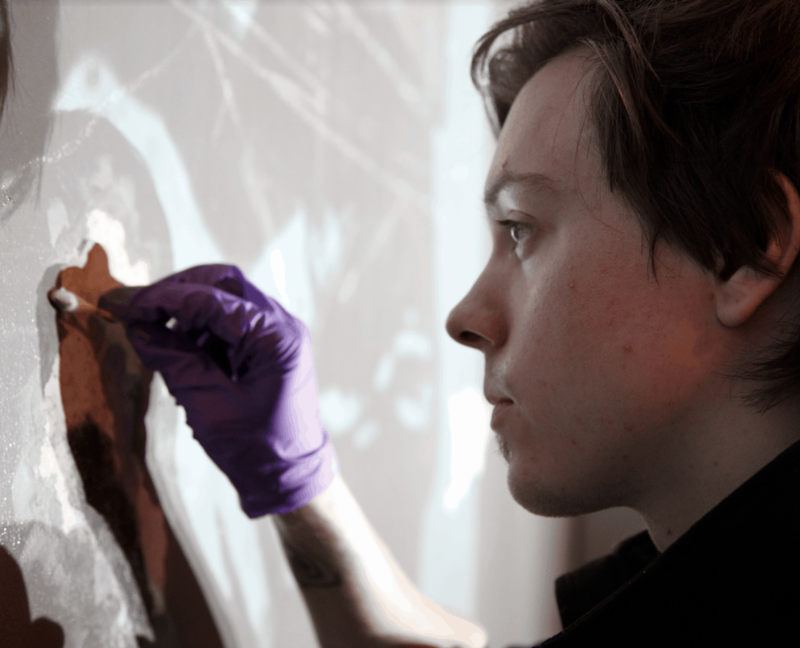 Understandably, it is painstaking and time consuming work; the 3 artworks should be uncovered in approximately 5 months. 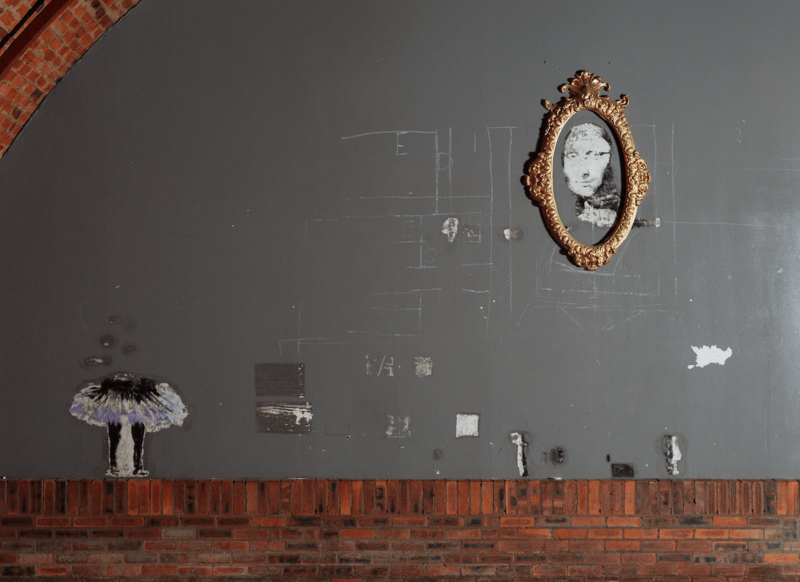 The restoration coincides with Platform at Argyle Street Arches, which brings together independent street food traders, and Super Market, a twice monthly market of independent retailers. Over 3000 people attended Platform at Argyle Street Arches at the weekend and to see the live restoration. For every donation, donors can choose to receive an exclusive gift. The range of gifts being offered to donors includes a limited edition boxed canvas to official Banksy restoration prints and a poster. The restoration project has received significant widespread publicity. STV and the BBC attended Argyle Street Arches for the launch and continue to be involved in documenting the progress. The story has also been covered in The Scotsman, The Herald and Conde Nast Traveller. 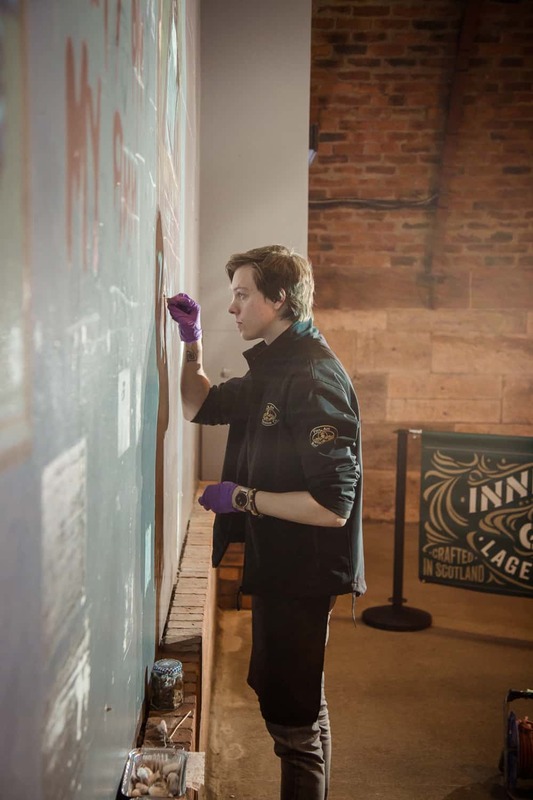 Annual conservation will be undertaken by FARCO for 20 years at Argyle Street Arches to protect and maintain the restored artwork, ensuring it is in excellent condition to be enjoyed on permanent and public display. 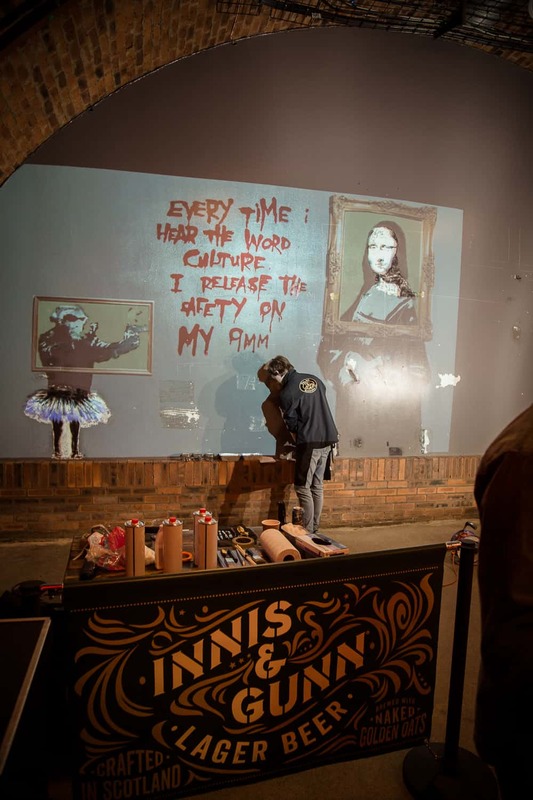 Live videos will document the progress on Facebook so members of the public and fans of Banksy can be part of the restoration every step of the way. The public is invited to view the restoration live as work progresses, from Friday-Sunday from 1PM at Argyle Street Arches. You can follow the restoration via social media on Facebook, Twitter and Instagram. Opportunities for sponsorship are also available for companies that would like to back the project and be involved in the big reveals.